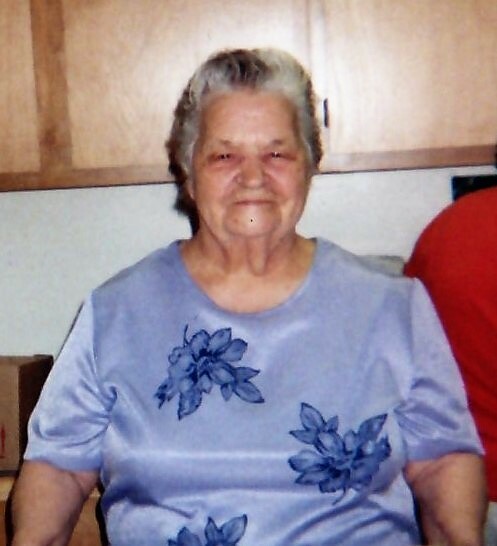 Lula Mae Cox, age 85 of LaFollette passed away Thursday, January 17, 2019. She was of the Baptist fait and a member of Grace Baptist Church. Lula Mae enjoyed going to church, gospel singing, having dinners with family, and watching the gameshow network. She loved all her grandbabies and especially her Lord and Savior, Jesus Christ. She is preceded in death by husband J.E. Cox; son David Ray Cox; daughter Margaret Marie Hale; parents Charlie and Margaret (Daugherty) Braden; brothers Cleve, Ed, and Lester Braden; sisters Blanche Smith and Charlotte Braden. She is survived by son Michael Cox of Speedwell; daughter Zelma Wilson of Caryville; grandchildren Travis Shears, Lisa Wilson, and Carl Rutherford; sisters Inez Braden of Briceville, Nancy Morgan of Oliver Springs, Emma Sue Williams of Oliver Springs, and Shelby Jean Duncan of Clinton; special nieces Mary Randolph of Briceville, Martha Carroll of Briceville, and Linda Young of Caryville; eight great grandchildren, one great-great grandchild and another one on the way. Visitation will be 6-8 PM Saturday, January 19, 2019 in the chapel of Martin Wilson Funeral Home followed by funeral service at 8 PM with Rev. Jimmy Ault officiating. Friends and family will meet 10:15 AM Sunday, January 20, 2019 at Martin Wilson Funeral Home to go in procession to Cumberland View Cemetery for the 11 AM interment.